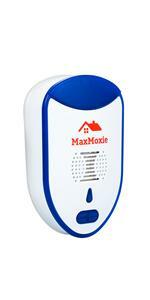 Amazon's Choice for "ultrasonic pest repeller"
Sold by MaxMoxie and Fulfilled by Amazon. Gift-wrap available. Sold by MaxMoxie and ships from Amazon Fulfillment. Sold by Essentially KateS and ships from Amazon Fulfillment. Ships from and sold by Great Household. 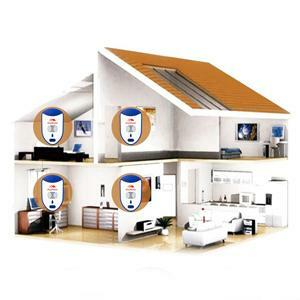 How awesome it would be if unwanted rodents and pests could easily be kept away from home with just a mini unit? That's like having a good pest controlled home! 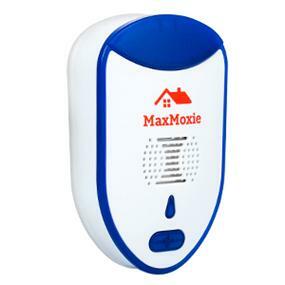 MaxMoxie Pest Repellent emits high-frequency ultrasound that effectively repels rodents，mosquitoes and other pests. 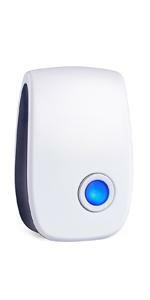 It is ideal for use in average-sized rooms, kitchens, garages, attics and basements. It's kinder than traps, safer than poisons when used as directed and humane pest control does not result in any dead rodents to discard. 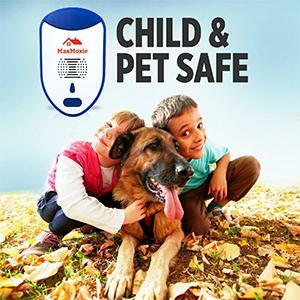 The electronic indoor pest control system is simple to use and safe around family, dog, cat and kid. 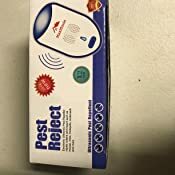 Proven efficient on mices, cockroaches, mosquitoes, spiders, bugs, wasps, ants and most of the home pests. 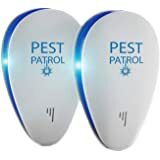 Repel pests and lights up your path. 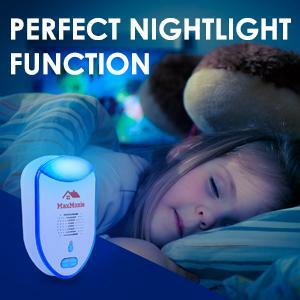 Great for a nightstand in your children’s bedroom (nightlight can be turned off). 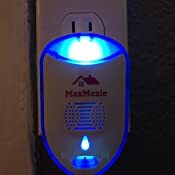 Just plug in the MaxMoxie Ultrasonic pest repeller and it will start to emit different frequencies to protect your home(Living room, Bedroom, Kitchen, Garage, Attic) from pests. 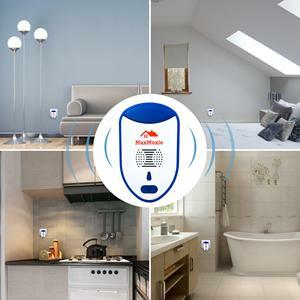 It's normal that the pests will increase at the beginning days because they are getting away from their living place after the attack of the ultrasonic. 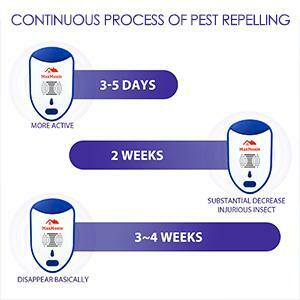 Reduction in pest activity should occur within 2-3 Weeks. 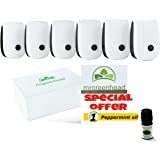 If you'd love to experience a truly pests free home - a home free from scurrying, buzzing, and the craziness of rodents running over you, Order It Now! 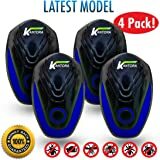 CLEANRTH CI007 Advanced Ultrasonic Insect Repelling System | Demands Insects & Bugs to Leave! 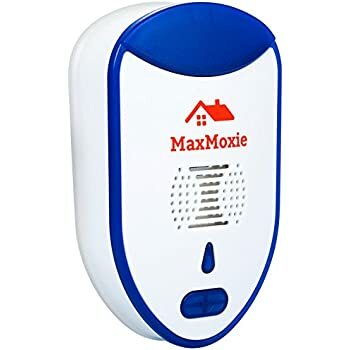 MaxMoxie is the perfect Pest Repeller for Indoor Pest Control: simple to use and safe around family and most reject household pets: no messy traps to empty, no disease-ridden dead rodents to dispose. 3. 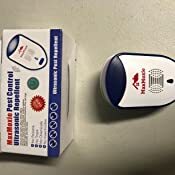 It's normal that the mouse and vermin will increase at the beginning days because they are getting away from the living place after the attack of the ultrasonic. Reduction in pest activity should occur within 2-3 Weeks. If you'd love to experience a TRULY pests free home - a home free from scurrying, buzzing, and the craziness of large rodents running over you, just order it now! We were a bit Leary about this product , we are SO HAPPY WE BOUGHT THEM!!! After reading the reviews , I thought to myself “how can this really work” BUT IT DID!!! The MICE HAVE FINALLY LEFT!!!! They first left our place , ran into the walls and two days later NO SOUNDS AND NO EVIDENCE OF THEM !! I have even bought four more!!!! The roaches have left and I’m convinced this is THE BEST PRODUCT ON THE MARKET RIGHT NOW !!! The fact that it’s on back order ,doesn’t surprise me !! I’m going to buy 8 more .. 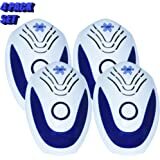 I want to give them away as gifts because EVERYONE SHOULD HAVE THESE !! 5.0 out of 5 starsAnimal friendly, bug unfriendly! 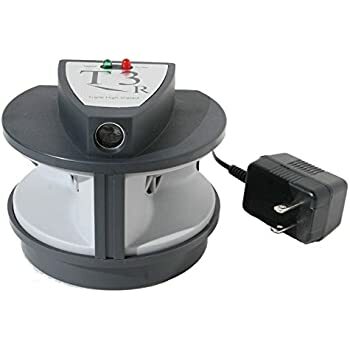 I HAVE HAD MY UNIT FOR A WHILE NOW AND I AM SO EXCITED TO SEE AMAZON NOW CARRIES THIS PRODUCT . 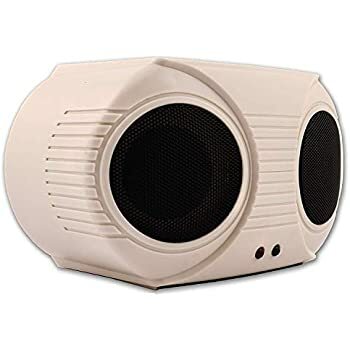 I CAN'T SAY ENOUGH ABOUT THIS DEVICE I HAVE TOLD MORE PEOPLE ABOUT HOW GREAT THIS WORKS IN FACT MY WHOLE FAMILY HAS THESE IN THEIR HOMES. 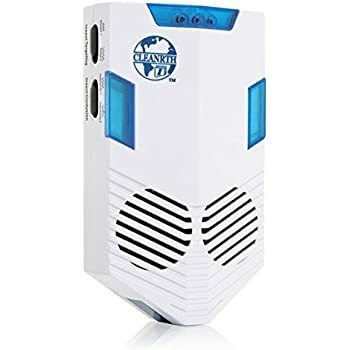 IF YOU ARE LOOKING FOR A WAY TO KEEP ROACHES AND OTHER STUFF OUT OF YOUR HOME WITHOUT USING STINKY SPRAYS THAT KILL BUGS AND YOU THEN THIS IS IT. 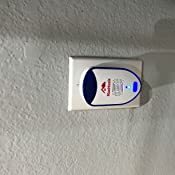 I HAVE SEVERAL ANIMALS AND 2 CHILDREN BOTH HAVE ALLERGIES AND YEARS AGO I ALMOST LOST MY CAT TO BUG SPRAY THIS IS HOW I FOUND THE PEST REJECT AND GAVE IT A TRY I NEVER USE SPRAYS INSIDE MY HOME ANYMORE AND HAS ANYONE BOTHERED TO LOOK AT WHAT CHEMICALS DO TO US? DO YOURSELF AND FAMILY A FAVOR AND USE THIS YOU WILL LOVE IT!! somehow we got a rat in the wall of our bedroom and we could hear it at night going back and forth, I went up into the attic to see if by chance it was going up there so I could put some traps up there (nope). I was able to find where it was getting in, but without getting it out first I was not going to close up the hole and then have to deal with a stinky rat in the wall. 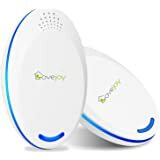 Not really having a lot of options, I decided to take a gamble on this, I have always thought these devices were just a gimmick and a scam, but we didn't really have many options besides opening up part of the wall and putting a trap in. The first night we plugged it in, there was all kinds of commotion going on in there, it almost sounded like a bird was trapped in there. after about a hour the noises stopped and we haven't heard any more since then. I am COMPLETELY blown away that this even remotely worked let alone worked as well as it did. I still cant believe that it worked. 5.0 out of 5 starsI'm in shock this actually works! Listen, I'm very skeptical about anything that makes all those promises but I hate spiders more. I went to a retreat in the middle of a forest near Portland. The house was IMMACULATE, not one fly, spider or any bug. They had this so i got 2 sets of 2 for myself. I have one in the garage, living room, and upstairs where bedrooms are. I did spray bug barrier (i have before but they never really did much) before I used this bc I didn't want bugs running away once I plugged these in. Had spiders and a LOT of earwigs around, I keep my house very clean but they come anyways. Now there is NOTHING around, I pay attention and I haven't seen ONE bug in here! Occasional flies get in but they disappear soon. I'm really impressed! Definitely spray the bug barrier thingy (from supermarkets simple stuff) just in case you have more bugs un the house than you can see! I have been trapping mice in my attic for several winters now, but recently I haven't had any luck. The mice have found a place in the corner of my attic that I can't get too and don't seem to want to leave. I've added extra baited traps, but nothing seems to work. 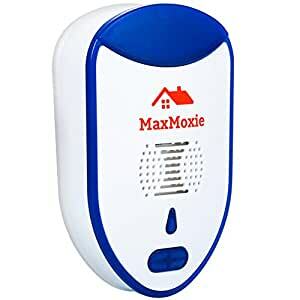 So, I decided to try this maxmoxie rodent repeller. Within a couple of days of using the repeller I trapped two mice and haven't heard another in weeks. 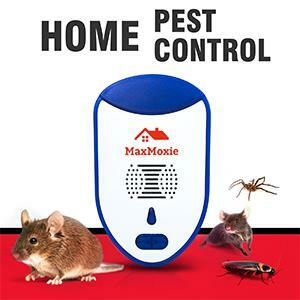 The literature with the repeller states that you must use multiple systems to get rid of mice. I used traps and the repller. My theory is that the signal from the repeller drove the mice out of the corner and into the traps. One thing nice about the repeller is that it constantly changes the frequency of the signal so that the mice don't get used to it. I have read where mice can get accustomed to a constant signal. Would recommend it to everyone. I bought a house in June of 2017. It was a rental before I bought it and the people had left bags of fast food and styrofoam cups with stuff sitting around. The roaches weren’t bad at first glance but inside the closet where the hot water tank is and the AC unit they were just crawling. I sprayed. Twice. Put some stuff out and they left or died for the most part. Fast forward a year and we have ants. And the occasional roach. OH and attic rats. I got this for our little problem hoping that it doesn’t turn into a worse problems. We’ve been having to keep stuff that’s not sealable in the fridge. It has been getting old. I’ve had these plugged in for two weeks now and so far NO ants and NO roaches. I’ve only sporadically heard the attic rats. As soon as I can get some outlets wired up there these are getting plugged up there too. I also put one in my storage building so fingers crossed the rats stay out. Like how simple it is to get this thing going. 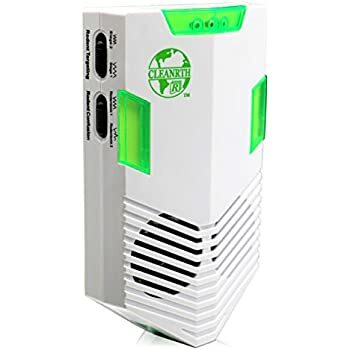 Came with two, simply plug it into any regular outlet and push the on button. I've seen its effect, cockroaches that usually roam the room are gone, just after two days. Since I received these units, I have kept a regular check on the pantry and cabinets. I have not seen any unwanted guests. This unit is very simple to use. Just plug it in and push the button on the front of the unit. We also have an outdoor kitchen on our house, so I placed one unit on the patio to help deter mice, etc. 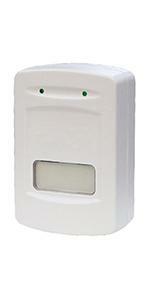 Having this device is far less expensive than an exterminator, plus there are no traps to have to deal with. 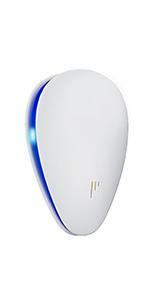 Additionally, this eliminates the exterminator and the unwanted chemicals they use.